I received some cream cheese last week and I knew some cheesecakes were in my near future. As in, I made one last Friday and it was superb, even if I do say so myself. Light, creamy, and just enough sweet to take it over the top. I made it for NPA's 17th Anniversary, and the ladies devoured it. The Anniversary party is usually a fundraiser as well, and this year they raised money for the local Humane Society. A great cause. And the cheesecake is ready to bake, next time I'll smooth out the parchment paper a little. Baked, cooled and ready to decorate, paper removed and trimmed. Just a couple more pictures before you get to the recipe. And the finished slice, and believe me when I say I could have gone for seconds. 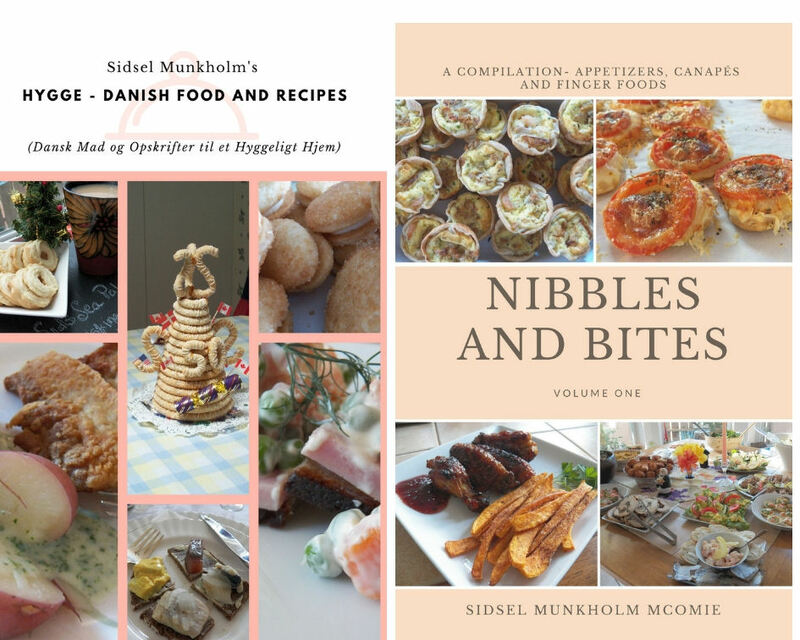 This was also featured over at Miz Helen's Country Cottage and I got the Red Plate. 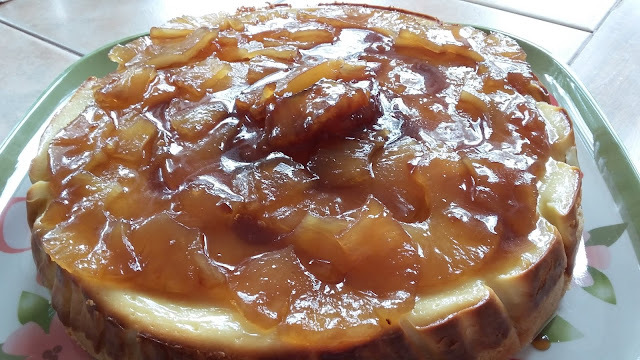 Topping this light and creamy cheesecake with the caramelized pineapple makes this gluten free cheesecake an exceptional treat. Prepare the crust by mixing the softened butter, almond flour and sugar and mixing well. It should look nice and sandy. Place a sheet of parchment paper cut into an elongated round and place into the springform pan, making sure part of the parchment paper goes up the sides. Dump the crust mixture onto the parchment paper in the pan and pat it into an even layer around the base and up the sides, keeping it as even as possible. Then, use the bottom of a heavy glass and pack it down. As the crust cooks, the sugar will melt and bind the almond flour and butter together. Bake in oven for 10 minutes. This sets and cooks the crust just a little bit. Take out and set aside to cool while you prepare the filling. Turn oven down to 325 degrees to bake the cheesecake. Cream the cream cheese, sugar and agave syrup together until there are no more sugar crystals, then add the eggs, one at a time. Beating well between each egg addition. When all four eggs are incorporated, add 1/4 cup Grand Marnier. Pour into the prepared springform pan and place on a rimmed cookie sheet and bake in the oven for 1 hour, turn oven off and let sit in oven for an additional 15 minutes. You don't need it browned, and the cheesecake should have a slight jiggle to it when you shake the cookie sheet. Take the cheesecake out of oven, and place it on a cooling rack and walk away for at least a couple of hours. 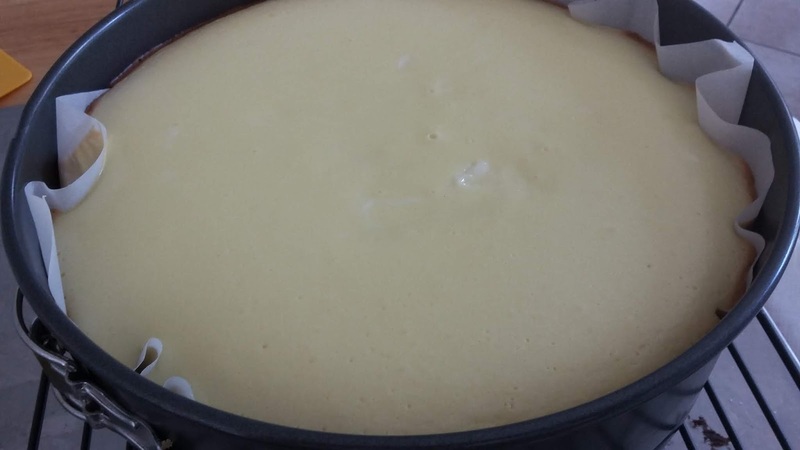 As soon as the cheese cake is cooled, using an offset spatula, run it along the sides of the pan to release the cheesecake. Then undo the springform pan and lift off the sides. You should have a lovely cheesecake. Pull the parchment paper off of the sides, very carefully and trim them at the base. 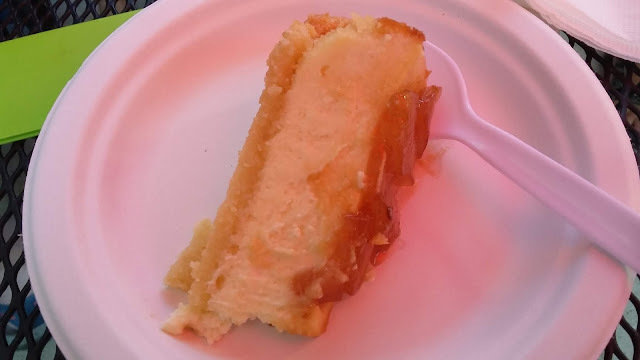 Using the base of the pan, you can now slide the cheesecake onto a serving plate, leaving the parchment paper intact on the bottom, and not leaving the base of the springform pan behind. 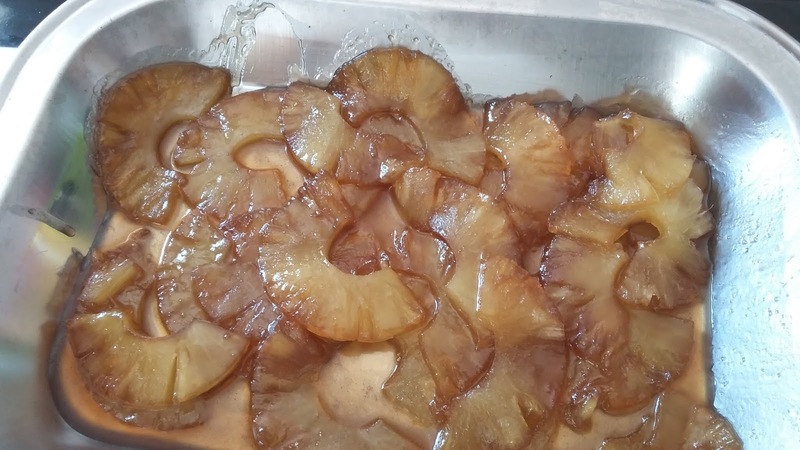 Drain the pineapple rings, then cut in half and if you can, slice them in half again, making them thinner or use a fresh pineapple cut into rings, that are very thin. Reserve one ring intact. Melt the butter and add the maple syrup and brown sugar to the pan over a medium heat. Place one layer of pineapple slices in the pan and let caramelize, turning them after a few minutes and turning them again. As soon as they've changed color, remove to a pan that has sides, cause the sauce will drip. Continue to caramelize the remainder of the pineapple until all of it is done. Add more maple syrup if needed during the caramelization process. Decorate the cheesecake when cool. Place the whole ring in the middle, then add each half ring around the center, working out to the sides. Pour any remaining syrup over top and serve. Thanks, I'll add the Red Plate in.